Our inaugural ‘cupcake morning tea’ to coincide with Child Protection Week was a great success. Businesses and individuals across Ballarat purchased hundreds and hundreds of pre-ordered, beautifully hand-made cupcakes. This was possible through the generosity and wonderful spirit of the Manager and staff at Safeway Sebastopol who sponsored our morning tea with freshly baked, hand decorated cupcakes. Proving they really are the ‘fresh food people’ the great staff at Safeway in Sebastopol worked through the night to freshly bake and hand-decorate close to 1000 cupcakes in our charity colours. 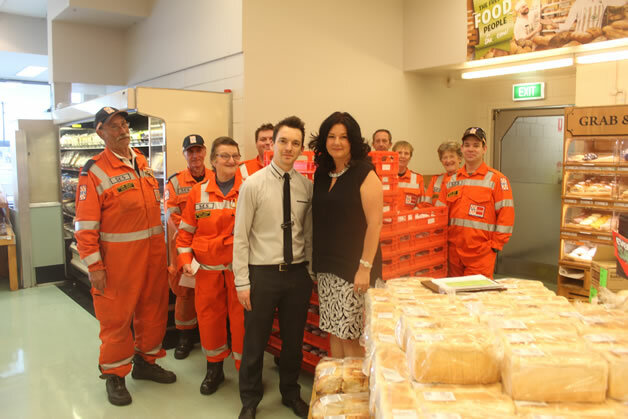 Local SES volunteers and Friends of Phoenix volunteers came to Safeway early in the morning to deliver the boxed cup-cakes across the city. Store Manager Des Carter and his staff went above and beyond their duty to support our charity and to promote the event in-store. The wonderful SES volunteers were incredibly efficient at mapping out a delivery plan across the city to ensure every business or community group who ordered cupcakes had them ready for morning tea. Board Members and Friends of Phoenix volunteers attended morning tea with Ballarat Police who hosted a cupcake morning tea attended by around 60 police officers. 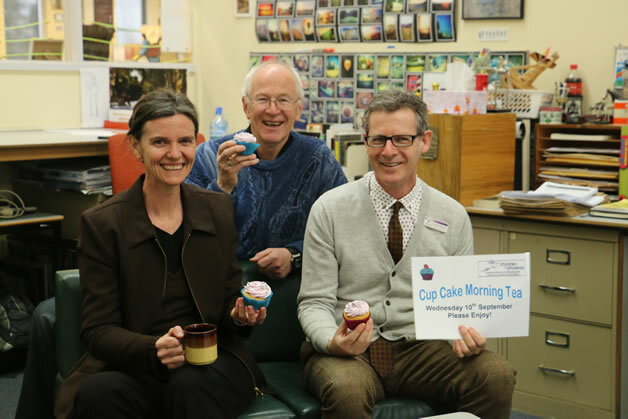 Staff at The Courier newspaper hosted their own morning tea through their cafeteria to support the event and Ballarat City Council also hosted a cupcake morning tea in support along with more than 27 other businesses in Ballarat. Thank you to everyone who purchased cupcakes and helped to support the important work of the charity. And thank you to folk who took some snaps of their morning tea and sent them to us and/or posted them on their Facebook. Please visit our photo gallery to view some of the snaps from the day.